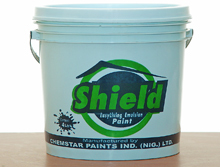 Chemstar Industries Nigeria Limited has brands of building paints which include Finecoat superior emulsion, Finetex acrylic texture finish, Fine high build gloss, Finecoat undercoat, and Premium Quality (PQ) emulsion. Finecoat building paints have been identified with high quality and durability, which have made the product pre-eminent in the market. The (PQ) emulsion is a premium quality product with very high solid opacity, high spreading rate and giving a long lasting appearance. They are produced in a wide variety of colours. Finecoat P.O.P. 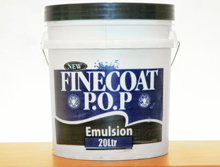 Emulsion Quality is a high quality emulsion paint for internal and external uses. It is fortified with light fast and weather stable pigments and guaranteed to give a very smooth finish. It is resistant to alkali because of its special build and pigments contained therein. 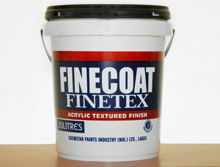 Finecoat Acrylic Textured Paint is a high build heavily textured product, guaranteed to give a beautiful and protective finish. Because of its special build and pigments contained therein. May be affected by prevailing atmospheric conditions. 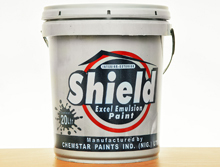 Acrylic Emulsion is an Emulsion Paint for internal and external uses. 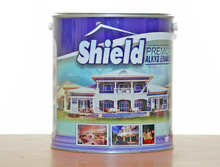 It is fortified with light fast and weather stable pigments and guaranteed to give a very smooth finish. It is resistant alkali because of its build and the pigments contained therein. 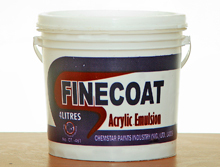 Finecoat Premium Quality Enamel is a high build, high gloss, durable alkyd enamel made from non-yellowing modified. It is ideal for internal and external uses as it contains light fast pigments. Its fast air-drying and its high build properties makes it ideal for coating various substrates including light industrial uses. 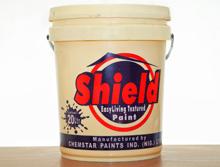 Shield Easy Living Emulsion is a medium quality emulsion paint for internal and external uses. It is fortified with light fast stable pigments and guaranteed to give a very smooth finish. 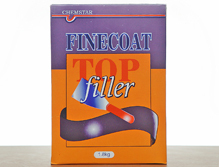 Finecoat top filler is an ideal filler for crack holes and joints. Procedure Mix two (2) parts of finecoat top filler with one part of water to form a stiff paste free of lumps. 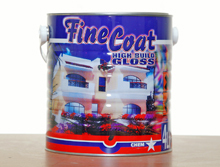 Apply finecoat top filler paste with trowel firmly on crack holes or joints. Allow to dry thoroughly before applying paint.